"Archivematica Outside the Box: Piloting a Common Approach to Digital P" by Shaun Trujillo, Meghan Bergin et al. Purpose – This work aims to provide a report on adopting a consortial model ofcollaboration toward understanding digital preservation practice. Design/methodology/approach – This work provides a case study detailing the work and outcomes of a digital preservation pilot project undertaken by the Five College Libraries between 2014 and 2015. 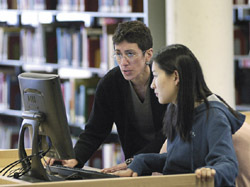 Findings – Digital preservation is a broad endeavor and rapidly developing facet of digital collections and institutional repositories; yet, it is often an area that is not fully understood or implemented by many libraries and archives, largely because institutions lack the necessary resources to do it alone. Working across institutional lines provides a possible solution to overcoming resource limitations and general challenges for pursuing robust digital preservation programs. Research limitations/implications – Findings reported in this work are based on a limited-scope pilot project. Several questions laid out during the pilot remain unanswered at its close. Originality/value – This paper provides insight into an experimental process rarely reported in library and information science literature. The goal of the paper is to provide a reference point for institutions pursuing a consortial approach to the challenges of applied digital preservation practice. Trujillo, Shaun; Bergin, Meghan; Jessup, Margaret; Radding, Johanna; and McGowan, Sarah Walden, "Archivematica Outside the Box: Piloting a Common Approach to Digital Preservation at the Five College Libraries" (2017). Article, Smith College, Northampton, MA.